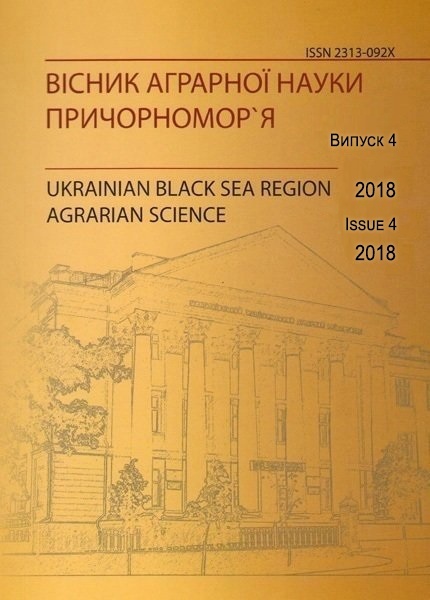 Scientific journal “Bulletin of Agrarian Science of Black Sea region” (“Ukrainian Black Sea Region Agrarian Science”) had been published since 1997 (according to Ukrainian Resolution №2/7, the 11th of September, 1997).It is published 4 times a year and contains the results of scientific research on Agrarian sciences and Economics, studied by scientists, graduate students and masters of Mykolayiv National Agrarian University and other educational institutions of the Ministry of Agrarian Policy and food of Ukraine. 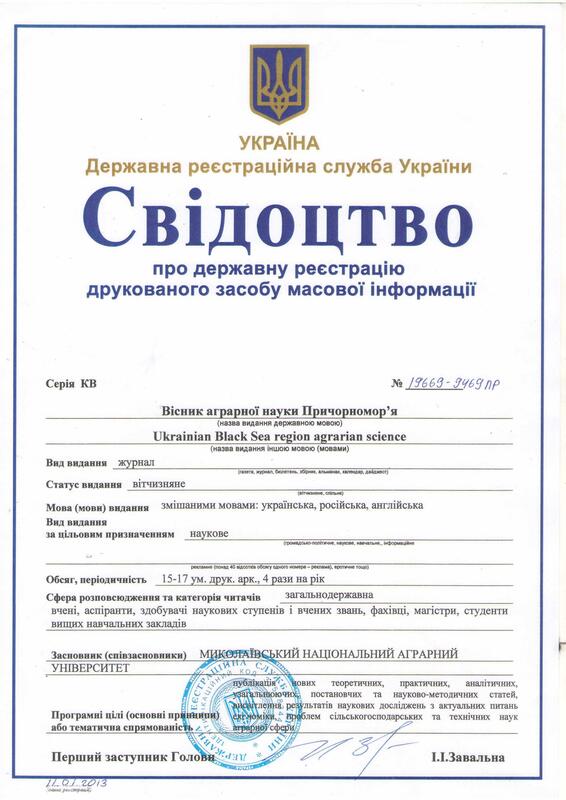 Scientific journal Bulletin of Agrarian Science of Black Sea region” had transmitted the governmental re-registration in Ukrainian State Service in January the 11th, 2013 and had received a Certificate №19669-9469PR. The Scientific bulletin is included in the list of scientific professional editions of Ukraine on Economics, Agrarian and Technical Sciences, where the results of dissertations for the Doctor and Candidate of Science degrees can be published (the Ministry of Education and Science of Ukraine of 13.07.2015 № 747 and 16.05.2016 № 515).